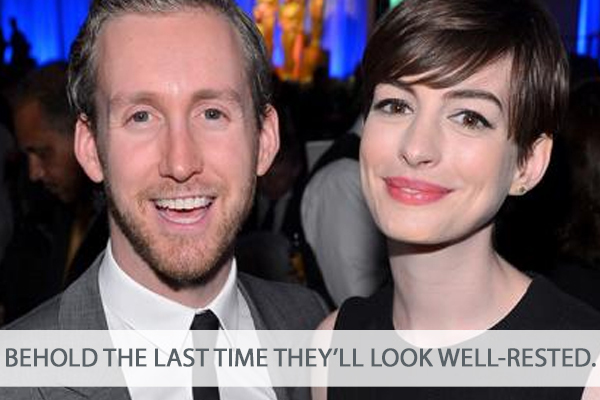 Yes, Anne Hathaway and husband Adam Shulman are expecting their first child, E! News reports. “Anne is in her second trimester and feeling great,” a source tells E!, which also posted a photo of the actress with an undeniable bump in Beverly Hills earlier this week. Looks like she’ll get that chance soon. Congrats to A&A!